Do you want more success, motivation or confidence? Are you searching for a Life Less Ordinary? Are you ready to make a change in your life? Is it time? We can help! We will inspire, challenge & empower you to live the life that you’ve been dreaming of. We offer 121 coaching and support to help you to move from wherever you are now in life to where you really, really want to be. You just need to be ready to change and willing to work hard to make it happen. 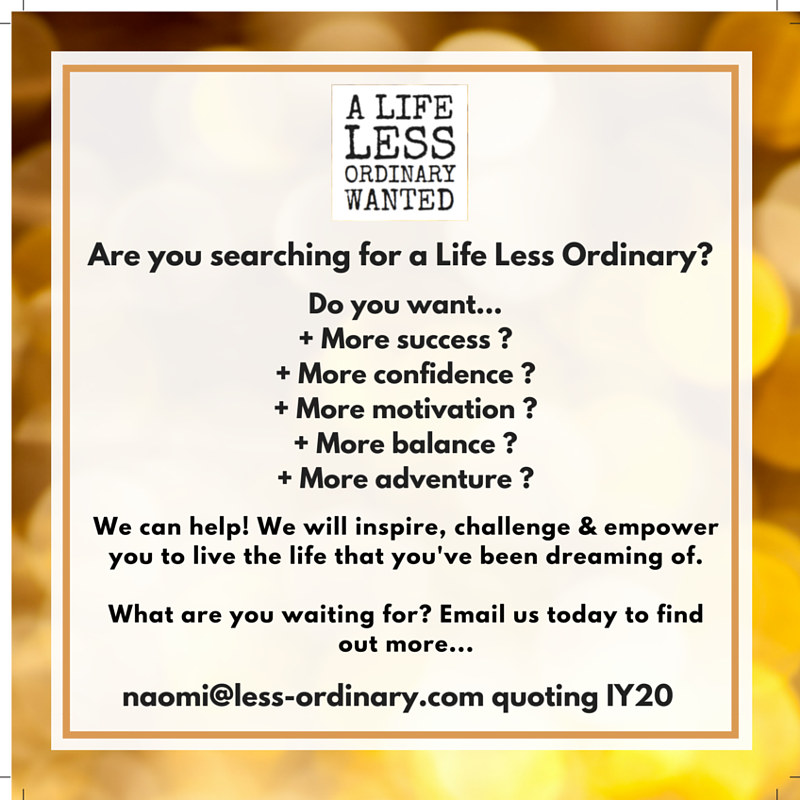 We are offering all lovely InspirationalYOU subscribers an exclusive 20% off when you book a series of 121 sessions with A Life Less Ordinary Wanted Coach. So what are you waiting for? Click HERE to complete the interest form and quote ‘IY20” in the Intro Code box and we will be in touch with more information and next steps. We look forward to supporting you on journey to live a Life Less Ordinary! Take the first step to a better you today! Make sure you click HERE now to complete the interest form and quote ‘IY20” in the Intro Code box.